Born in Brantford, Ontario, Neil’s country music roots were nurtured growing up on the family farm near Burford, Ontario. 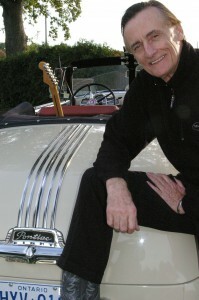 Neil began singing as a young boy in the choir in the small rural church that he attended with his family in nearby Mount Vernon and he began writing songs and playing guitar as a teenager going to high school during the legendary 1950’s Country rockabilly era and the dawning of Rock and Roll. 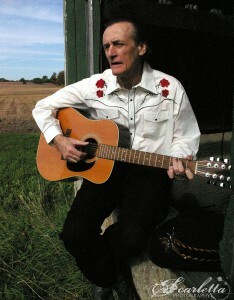 Living now in Paris, Ontario, only a few short miles from where he was born and grew up, Neil found it the perfect place to follow his heart and embark on his life-long dream as a recording artist of his original material, and to begin penning his long-postponed epic novel, a love story, The Summer Garden and the Song. “One morning a few summers ago … well, actually quite a few summers ago now,” he says reflectively, “I found myself at that place characterized by the great New York Yankees catcher, Yogi Berra: ‘When you come to the fork in the road, take it.’ I did … and I took it,” he says quite matter-of-factly. “It was obviously my lucky day,” he adds, “in a round-about way it led me back to my country roots, back to the sweet memories of my teen years, and thankfully, back to my music that I had left behind years earlier. “It truly was a privilege to have had that early training with Gerry and to have been so close to being in the company of legends at the time. “Other pressing priorities and realities in my life, though,” Neil adds pensively, “kept the stars out of my eyes and my feet on the ground. Continuing to pursue a future in music during those formidable early years was just not a viable option. As it turned out, much water passed under the bridge, so to speak, before I was able to return and devote serious time to my love for music. That’s how life goes and we do what we have to do. “Ray played a major role in making my life-long dream come true,” Neil says. Neil’s roots are deep country, proudly reflecting his early years growing up on the family farm in part of the now slowly disappearing tobacco heartland of Southwestern Ontario, Canada. Strengthening his country roots was time spent during his pre and early teen years working after school and on weekends and during summer months, on the family owned general and tobacco farm near the village of Burford, Ontario, and in the John Deere Farm Equipment Dealership, Neil Young & Sons, owned and operated by his father near the town of Simcoe. Years later, Neil joined his father in the dealership business. Neil was a Western Ontario Secondary School Honour Athlete in 1960 and graduate of Burford District High School, and graduate in 1964 of Waterloo Lutheran University/Waterloo University College, now known as Wilfred Laurier University. Upon graduating from university and prior to joining his father in the farm equipment dealership business, Neil spent several years as property accountant at the manufacturing operations of Massey-Ferguson’s North American combine plant. After the implement business was sold, Neil continued farming for several more years in addition to serving in various positions with the Ponderosa Steak House chain of restaurants; first as assistant manager of the Ponderosa Steak House in Brantford, then setting chain-wide store opening records as manager of the Ponderosa Steak House in Sault Ste. Marie in Northern Ontario. During this period Neil continued to lay the groundwork for the beginning of his entrepreneurial career in real estate development, investment, and management, with projects in Ontario and Las Vegas, Nevada. Locally, Neil developed the Royal Highland Estates subdivision just a few miles south of where he now lives in Paris, Ontario. It was also through Neil’s ownership, management, and financial investment that two architecturally and historically important buildings were saved and restored in downtown Brantford. Never one to let the grass grow under his feet, in 1985 Neil founded Rhapsody On Ice, an international touring troupe of precision/synchronized figure skaters and ice dancers comprised of Ontario based amateur figure skating stars between the ages of 16 and 25, and individual world professional championship skaters. One of the first major events that Neil organized for Rhapsody On Ice was “Skate For Life – Skate With the Stars” on May 26, 1986 in Edmonton, Alberta, Canada; an official event for Bob Geldof’s worldwide Sport Aid event held on the same day in support of famine relief in Africa. Neil received corporate sponsorship from Air Canada for “Skate For Life”, with the airline sponsoring the round trip flight of Neil’s thirty-member contingent from Toronto to Edmonton, where Neil had arranged with the owners of the huge West Edmonton Mall to host the event on the skating rink in the mall. The event had the blessing of Otto Jelinek, Canada’s Minister of State for Fitness and Amateur Sport. A former figure skater himself, having achieved prominence in 1962 when he and his sister, Maria, won the gold medal at the World Figure Skating Championships, Otto donned a pair of skates and opened the event in Edmonton. Neil also arranged for Vern Taylor, a previous Canadian Men’s Champion & World Competitor and Denise Benning & Lyndon Johnston, C.F.S.A. Canadian Senior Pairs National Champions & World Team Members, as well as Andy Moog and Charlie Huddy of the Edmonton Oilers NHL hockey team to participate in the event. The troupe performed in places such as Australia, New Zealand, Hong Kong, England, Spain, and Denmark, and in Florida, Arizona, California, and Hawaii in the U.S., as well as at shows in Ontario and Alberta, Canada, with stops along the way in South Korea, China, Macau, France and the Fiji Islands. Neil produced and directed “Stairway to the Stars”, Rhapsody’s spectacular ice extravaganza, a show that featured at times such special guests as World & U.S. Professional Pair Champions Anita Hartshorn and Frank Sweiding and French Champion & World Silver Medalist Fernand Fedronic. His plans to take the show on tour to both Yugoslavia and to Dubai in the U.A.E. (United Arab Emirates) were scuttled when the Foreign Affairs Department of the Canadian government reined in travel plans to Yugoslavia during the Bosnian War and to the Middle East at the outbreak of the Gulf War. Following Rhapsody’s performance in Aalborg, Denmark in 1992 as special guests at that city’s second 650 years anniversary celebrations, and always reaching for the stars, Neil began making plans to produce and direct “Cotton Club Express”, Rhapsody’s follow-up show to “Stairway to the Stars”. Unfortunately, as a result of his efforts to begin the world tour of “Cotton Club Express” in New Zealand not materializing as intended, coupled with new demands on his time and resources, Neil reluctantly put his plans for the new show figuratively ‘on ice’ as his focus was shifted away from the world arena stage. The crowning moment for Rhapsody On Ice for Neil came when the troupe received a standing ovation from the audience after a performance at Gala Performance at “Skate Asia” held in the Hong Kong Coliseum in 1989. Rhapsody On Ice was featured in the show along with Ice Follies stars Richard Dwyer, “Mr. Debonair,” and Gertie Desjardines. Prior to Neil founding and managing Rhapsody On Ice, there was nothing like it before in the world of amateur figure skating, and there has been nothing like it since. Chances are the likes of Rhapsody On Ice will never be seen again. While managing and directing Rhapsody On Ice, Neil had the opportunity to promote several “Oldies” concerts in Ontario featuring 1950’s and 1960’s recording stars Jan and Dean, and Bobby Vinton, as fundraising events for Rhapsody. 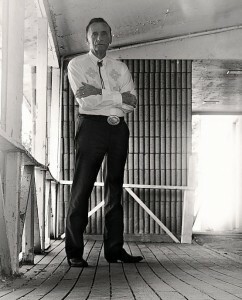 In addition to his long-standing interest in music and song writing, it was not uncommon for Neil to be balancing several of his various entrepreneurial projects at the same time, such as the art print and poster publishing company, Southwind Editions – The Fine Art of Living, that he formed and managed with his daughter, Andrea, during the 1990’s. Southwind’s primary mission was to feature artist Michael Swanson and other area artists to a broader market promoting their works to galleries in New York, Scottsdale, Carmel, and Las Vegas. The art market proved too formidable and competitive to be penetrated with any degree of success. Neil succinctly summed up the Southwind Editions’ experience with his pragmatic business outlook: nothing ventured, nothing gained. Following the sale of his real estate interests in 2002, Neil considers it another stroke of good luck in being asked by a business associate in California to become involved in an administrative capacity in the production of the documentary film, Piaf: Her Story… Her Songs, about the life of the fabled wartime French songstress, Edith Piaf. That involvement took him to Lucas Film Studio located at George Lucas’ Skywalker Ranch in California. Neil was given a credit in the film as Special Consultant. The film is available on DVD at Amazon.com. 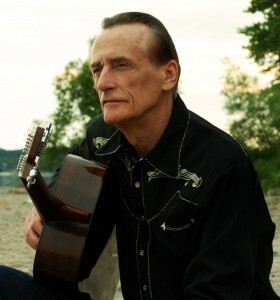 A nominee at the 2012 Hamilton Music Awards for Alt/Country Recording of the Year for his second CD album What Difference Will It Make released in 2012, and at the 2008 Hamilton Music Awards for New Country Recording of the Year for his debut CD album No Looking Back released in 2007, Neil was also a recipient of the Golden Kayak award for Best Country Song 2007 – “The Cowboy Song” at the 2008 IAIA (International Academy of Independent Artists) Golden Kayak Awards. Neil was honoured to learn during the closing days of December 2015 that he had been nominated in the Country category of the 2015 IAIA (International Academy of Independent Artists) Golden Kayak Awards at IndieMusicPeople.com for his song “Shining White Eyes.”. 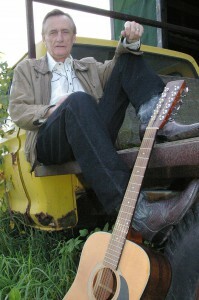 Neil is a member of SOCAN (Society of Composers, Authors and Music Publishers of Canada) and an associate member of ASCAP (American Society of Composers, Authors and Publishers), as well as a member of the Canadian Country Music Association (CCMA), and the Canadian Academy of Recording Arts and Sciences (CARAS). From tumbleweeds drifting along old Route 66 and flashy 1950’s convertibles, to rusted-out flatbed trucks and walking down railway tracks, it is hard not to picture Johnny Cash here. Even more so with Neil’s self-effacing western lilt and a soft southern drawl influenced in part during his teens while toiling in summer sun-baked Southern Ontario tobacco fields alongside his co-workers from the Carolinas and Georgia. His music accomplishments have been reviewed and written about in local newspapers as well as in Blue Suede News Issue #83 (Summer 2008) and Issue #99 (Winter 2012/13) published in Duvall, Washington, U.S.A., and in CountryHome – Germany’s Premier Country Music Magazine. It should come as no great surprise that Neil’s music and lyrics are coloured and shaped by those wonderfully free and inspiring times and experiences. “Perhaps in a way, through my music, I’m going back to the Fifties. Then again, maybe I never really left.” he reflects longingly. “Many of the words and feelings for the lyrics that I wrote in my late teens and early twenties came from a combination of the music I was listening to at that time and from some of my own experiences during those impressionable years. In later years and now, they come mostly from what I call my well of life—my inner self—from memories of those young emotions of romance, love, hopes and dreams, and from other times and roads that I have traveled along the way. One of Neil’s most treasured memorabilia items is the hand written letter that he received in 1986 from Harriet Nelson, Rick Nelson’s mother and one of the stars of their long-running television series in the 1950’s, “The Adventures of Ozzie & Harriet,” thanking him for the lyrics to the song that he had written in tribute and memory of Rick on the New Year’s Eve that Rick was killed in the plane crash in Texas. The letter is framed and hanging in a place of honour in Neil’s music room. 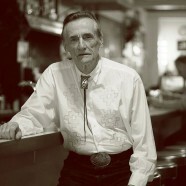 Known to his family and friends over the years as “Skip”—a nickname given to him by his father when he was knee-high to a grasshopper, Neil says he remembers only being called “Neil” by teachers and university professors, and later by people in the business world that he had met for the first time. As a recording artist though, Neil purposely spells his name Neil w Young with his middle initial “w” (for William, his middle name) always appearing in the lower case with no period following it—a step he says that was intended to create a branding style for his name, as well as wanting to be seen standing apart in the world of music from his more accomplished and successful countryman three years his junior and who shares the same first and last name as him, and who he greatly respects. With his debut into the world as an author and novelist, Neil elected to be known as N.W. Young, and in that way is hoping to still be seen as the same person in both the music and literary world with a unique identity in each. Neil’s words speak of his fulfillment about the life he has lived and the enjoyment that flows from the creative process of writing his novel and from songwriting, as well as from performing. “Having the opportunity to perform my music and songs on stage and to have so many people enjoy my songs and music is truly the icing on the cake for me,” Neil says, with an obvious glow of satisfaction and appreciation for his many friends and fans. “My greatest reward,” Neil adds, “comes from the many friends I have made around the world through my music, and knowing that others receive enjoyment from my songs and music while my dream and journey continues to unfold day-by-day taking me wherever it may. Neil’s albums, No Looking Back released in 2007, What Difference Will It Make released in 2012, and Old Memories released in 2016, as well as his Christmas song “That’s What Christmas Means To Me” released as an mp3 single in December 2010, were recorded at Rayne Records in Hamilton, Ontario. They are available on his website www.neilwyoung.com, and at iTunes and CDBaby.com, and in Canada at some HMV stores; type Neil w Young in the Search field on the respective websites. They are also available at Green Heron Books in Paris, Ontario, and at the Burford Times office in Burford, Ontario. 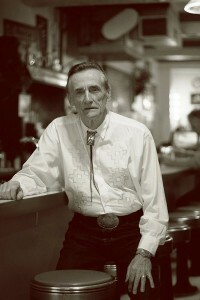 Neil can also be found on You Tube; type Neil w Young in the search field.